Start your designers start off right. 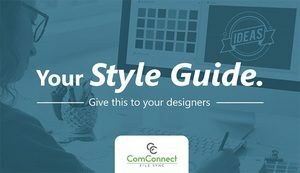 Easily share the exact colors and fonts for your brand. Store graphics, slogans and other media in a central document. Tie your visual and verbal brand into your company's mission. Complete as much of this document as possible. Your colors, fonts and graphics set your visual standards. Use your company's values, mission and vision to communicate your internal values. The more detail you include the easier it is for your designers to deliver it right the first time.